EDIT: 7/2/2010 – Well, 226 comments here, and quite a bit on twitter led this to be probably the most successful contest I’ve run with Gator Games yet, and now it’s time to announce the winner. His name is Will, who wrote “I can’t wait to expand my dungeon tile set”. Well Will, you are going to expand it now. The gods of random.org spoke in your favor. Thanks all for entering! There will be more contests soon! Right before I leave on vacation, here’s another great contest sponsored by Gator Games! 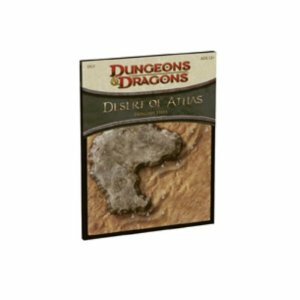 We are randomly giving away a set of Dungeon Tiles: Desert of Athas. All you have to do to enter is leave a message here, and that will serve as your entry to the contest. This is a pretty neat tile set, you can catch my review of it here. This contest is open to residents of the continental United States only. And to celebrate the 4th of July, Gator Games is offering a 20% discount if you enter “firecracker” at checkout. That coupon code is good until July 5th. Remeber to follow us both on twitter, to get early word of these types of contests, and other neat stuff. Gator Games is an FLGS (Friendly Local Gaming Store) operating in San Mateo, CA., and if you are in the area then do yourself a favor and make them your gaming store. But if you are not, it doesn’t matter, because Gator Games has a website with a great “Used Items” online store that is certain to satisfy all of your hobby needs with some really great deals. Gator Games also offers German games and an expanded selection of RPG’s, card games, miniatures, dice and boardgames. Visit Gator Games’ revamped website today at www.gatorgames.com. You can also find them on Facebook (Gator Games & Hobby) and Myspace. Been wanting to check this set out – maybe make it my first. I’ve decided the Dwarven Forge stuff is just too much for me, so it’s time to start diving into these! I may just have to swing into Gator Games sometime as well – my family is from that area (I live a few hours south of there now but go up there all the time). Count me in for this contest. I have a couple of sets of these tiles, and I love them! I can also always use another set! Gator Games is in fact a pretty good store! Also: yay, giveaway. Entered. Sweet give away Dark Sun is AWESOME! Thank you for this contest.. As a relatively new DM this would be a great thing to have. I would love to win. I am jazzed for Dark Sun. Would love to implement some of the new 3D tiles. Sign me up. My group has got a Dark Sun campaign just waiting for the books to come out and tiles would be awesome. I’ve been considering buying these, anyway. I’ve long wanted to start using Tiles for my campaigns, but haven’t been sure I liked the constraints of pre-made tiles. But who knows, maybe these are perfect for what I need. Consider me contesting. I’m eager to see these tiles. Great! These look really good. Sand and sun – how I would love to see the look on the face of my players as I placed these suckers on the gaming table! Been a fan of tiles for a while now and this set looks great. I caught wind of this contest through a tweet by wizards and had never heard of gator games, thanks for the info about them. Payday is soon (and just in time to take advantage of the discount) so I’ll hopefully be buying something soon. I’m excited about this tileset. Been playing the D&D Encounters series previewing Dark Sun, and it takes me back to when it originally launched. Good times, good times! We can never get enough sets of tiles. I can think of a certain GM that would be very happy with these. Sweet, I am just coming back to D&D after taking a vacation during 3rd ed and now playing 4th. I would appreciate winning these, I am guessing I am just suppose to comment to get entered? If not please e-mail me so I understand what is required. Obligitory post. I absolutely love the dungeon tiles! While I’ve been drawing all of my encounter maps out by hand, it might be nice to give the tiles another shot. Count me in. Even if I win, I am so buying 2 or 3 sets. Love me some Dungeon Tiles! I just started playing Dark Sun for the first time during D&D Encounters. I am loving it. These tiles would be nice. I love the look of these tiles, even if you don’t end up playing in Athas they can still be useful for beaches or regular deserts. Plus, this set has more of the 3d terrain, doesn’t it? Yay for newbiedm! Way to be awesome! I cannot wait for Dark Sun to come out. Only a month and a half to go! We’re going to start a Dark Sun campaign as soon as the materials are released so this would be fun to have! Can’t wait for Dark Sun! If I win my group is getting transported straight to athas. I was already debating doing it when I get a hold of the Dark Sun book but this would have to hurry the process along. Very nice! I’m looking forward to getting a set of the desert tiles. These will be perfect for my Frankie & Annette “Beach Blanket Berserker Bingo” campaign. Hope I win! I want a set of these tiles. Even though I don’t run a dark sun game, they are great for any type of desert setting. Tiles Get! I have a set already, but wouldn’t mind another. Thanks! I can’t wait for Dark Sun! Seriously. This tile set looks awesome. I want this! Enter me! I’ve been super excited about this set for a long time. They’re perfect for those of us who run semi-post-apocalyptic campaigns. I’d love some of these dungeon tiles! You know, I’ve never used tiles like these. Just the little blank map. I’d love to try them out. I am super excited that Wizards have brought out Dark Sun for 4E! My very own desert? Yes please! I love dungeon tiles. Thanks! Thanks! I’m really interested in getting into dark sun when it’s released, these tiles would be a great starting point! Awesome!! And all I had to do to enter was respond here, even better. I hope to run a short Dark Sun adventure soon…these would definitely help. Awesome giveaway – like to have one of these! I aalways love a good giveaway! I’ve only recently started using minis at my game table and winning a set of tiles will help the transition nicely. Thanks. I’d like to enter. Thanks again! Hmm…I’ve been looking to start collecting Dungeon Tiles. This would be a great start. The set looks great, I hope it will be mine! Free stuff for the win! Entering. Bring on the Sand Dunes! I can’t wait for Dark Sun 4E. Count me in and thanks again to you and Gator Games for the fun contests. 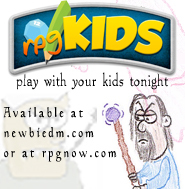 Yippie, I love free d&d stuff! Ooh. The tilesets are handy and free is a good price. Sweet! I love Dark Sun. My group could really use these. If I win I promise to run a desert campaign. With dinosaurs. Great website and I love the mini-cast! I hereby enter myself for this thing. haha thanks for running all these contests! i respectfully enter. Mein Gott im himmel! You have a lot of comments already! Tiles will make the tpks look even more spectacular. I want to win so bad! 2e Dark Sun veteran here! Athas tilese are a great addition to the tile collection. Thanks Gator Games and NewbieDM! So looking forward to the Dark Sun release! Woot! Dark Sun. I’m in. Do Want! 😀 The 3d tiles are iffy, but the sand/desert/beach style would be sooo useful for my game! it was mentioned that there are water tiles. those must be the ULTRA rares. I just moved to the Bay Area. Maybe I’ll check out Gator Games next weekend. Sand that’s easy to clean up? Count me in. tHIS WOULD BE AN AWESOME WAY TO START A COLLECTION! You got right to my dungeon-tile-junkie heart 🙂 Checking out Gator Game’s website-I can always have fun browsing a game website! I have the Sinister Woods and Harrowing Halls sets, but these desert tiles look very nice – would like to add them to my library. Wow, I actually played Magic: The Gathering at Gator Games once when I lived in San Francisco. Tiny play space, as I recall, but nice people! I have an unhealthy obsession with dungeon tiles. Wow, been looking at this set for a while, I run a. 6 person dnd group (newbies really) and this would fit my campaign perfectly! Sign Me Up! I already have one set, but you can never have enough desert tiles! Woo, another contest! Go go Gator Games! This time I’ll win for sure! All your tile are belong to me. I’m definitely interested in them there tiles. Hmmm. How lucky can I be? Thanks for the giveaway, Gator Games! I love the way FLGS’s have adapted to the web. It’s so easy to hit up the ‘big online bookstore’ but you miss so much doing that. Like this kind of thing. The Athas st looks great. Can’t wait for the city Master Set too. These look great, & I’d love to win them. I’d also like to see if they’re compatible with the Hidden Crypts set. PS: Igonre previous comment. Stupid typos. I could definitely use these! Love to have the tile set. I’ve known of Gator Games for years. Strange women, lying in ponds, distributing swords, is no basis for a system of government. Definitely could use these, considering I’m running an arabesque 4e campaign right now! Generic remarks regarding my desire to receive this tile set. Holy frickin comments batman! I already have a set, but a second could come in handy! Man I’ve missed Dark Sun so glad it’s coming back. Dark Sun has me incredibly interested as a campaign setting and I can’t wait to try it out. I’m glad Dark Sun is coming back. I played a little during 2E and it was different, but in a good way. 🙂 I’d love to get a start on some 4E Dark Sun with these tiles. Thanks for the chance! I would love to start a Dark Sun campaign. I love Dungeon Tiles. I am still not sure about Dark Sun over all though. I love free stuff and I love DARKSUN!! One thing that’s so cool about these tiles is that they’re featured in the current season’s D&D Encounters. Quite cool to see mid-play! Wow! I’ve always wanted these dungeon tiles because as a DM, I rock, but my players say my artwork leaves much to be desired. lolz! Sweet! I’ve been looking in to getting a few of the sets, and if I can grab this one free, well, why the heck not! It looks like a great set! Consider me entered! I’ve never bought Dungeon Tiles before (I’ve just used a homemade battle mat or Gaming Paper), but your review of it really sold me one wanting to a few sets. Comment to be entered! Check! I like this tile set, the building rocks! Gotta love the NewbieDM giveaways. Count me in! Hoping I’ll win. If so, I’ll convince my new DM to run the deserts of Athias adventure, or whatever it’s called. This looks really cool! Thanks for the chance, and also for the review!! Who doesn’t love free stuff, sign me up! Thanks for helping promote the game I love! I can’t wait these are such a neat set of tiles. I’ve been enjoying your posts and tweets – I’ll check out Gator Games and hope to add this set of tiles to my collection! Who doesn’t love free tiles? Hook me up! Ooooooo… Shiny! I’ll be happy to take the set off your hands for ya! Winning these would be a great excuse for me to run a Dark Sun game. I guess you’ve got to be in it to win it!